Your pet finch enjoys variety in his diet as much as you do. Even though finches are primarily seed-eaters, there are many human foods that enhance a finch's diet and improve his health. Seed should comprise only a portion of the nutritional content in your bird's diet. It's fine to experiment with a variety to see what foods your bird likes best. Vegetables are very good for finches. Wild finches snack on a variety of plants and seeds in season. Your finch will benefit from eating leafy green, organic vegetables. Most vegetables are fine for your bird, but don't feed avocado, which is toxic. Asparagus can cause stomach upset. Iceberg lettuce can be fed, although its nutritional value is minimal. Good choices for your finch include broccoli, carrots, winter squash, parsley, spinach, green beans, tomato and zucchini. Although vegetables top the list of finch favorites, your bird will enjoy fresh vegetables as well. Offer bananas, apples, pears, melon, peaches, pumpkin, strawberry and pineapple. 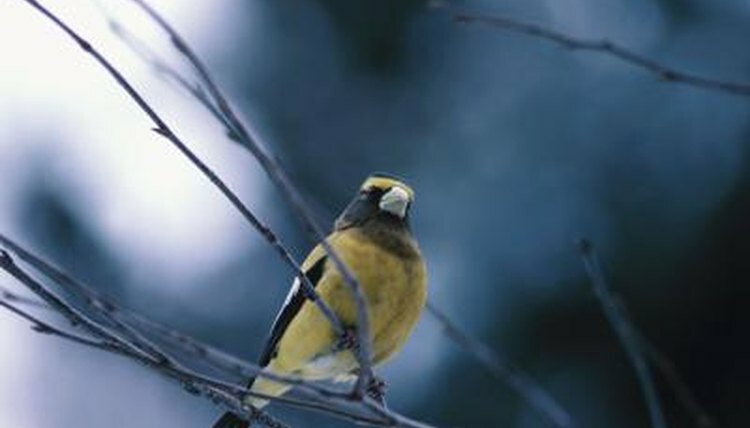 Some finches enjoy raspberries, blackberries, nectarine and cherries. Grapes can be fed occasionally, although they don't have a great deal of nutrition. Eggs are very good for finches. Add some cooked egg to your bird's diet weekly. Hard boil an egg; mash it and serve with some crushed shell for added calcium. Some birds enjoy an occasional piece of cheese or lean, cooked meat or fish. Dairy products should be fed in moderation. Never feed your bird chocolate, alcohol, or salty, sweetened processed foods. Feed one food at a time rather than an assortment, so you can identify your bird's favorites and ensure that he gets variety. If allowed to choose, most birds will eat their favorite and leave the rest. Offer one type of food a day in a separate dish. Wash fruit and vegetables before feeding them. Slice foods into small pieces that your bird can eat easily. Wash feed dishes daily and clean the bird cage to remove any uneaten food.